After two battles between U.S. Troops and the Seminole Indians occurred along the Loxahatchee River, Fort Jupiter, Florida was established on January 25, 1838. The First Battle of the Loxahatchee River occurred on January 15, 1838, when U.S. Navy Lieutenant Levin M. Powell led 75 army and navy troops against 50 to 60 Seminole Indians. The officers that advanced on the camp were outnumbered and ambushed. After a long fight, the U.S. retreated with five men killed in action and about 20 others wounded. Nine days later, Major General Thomas Jesup returned with 1,500 troops. 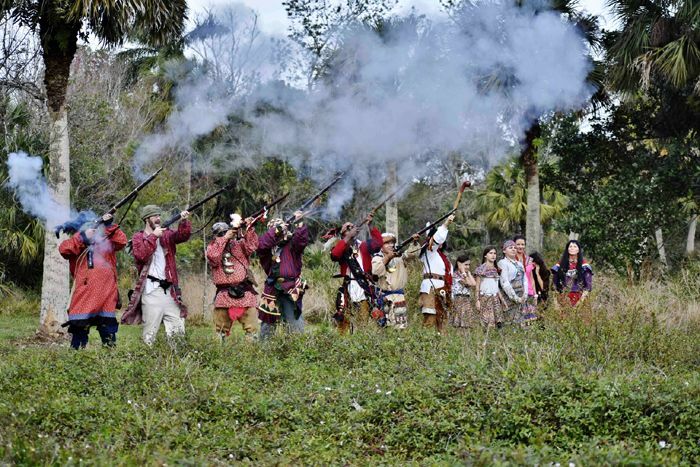 Three hundred Seminoles met the soldiers on the banks of the Loxahatchee River, just west of the Jupiter Inlet, in the Second Battle of the Loxahatchee River. After the battle, General Jesup petitioned the U.S. Government to allow the Seminole to remain in the Everglades and end the war. However, his request was denied and on January 25, 1838, General Thomas S. Jesup established Fort Jupiter on a point of land along the Loxahatchee River now called Pennock Point, about three miles west of the Jupiter Inlet. That year, the fort was used to imprison more than 600 captured Seminole Indians before they were transported first to Fort Brooke, and, from there, were sent to Indian Territory in Oklakoma. 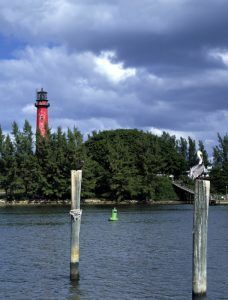 Jupiter Inlet Lighthouse, Florida by Carol Highsmith. Fort Jupiter closed in 1842 when the Second Seminole War ended. It was reopened in the 1850s during the Third Seminole War and closed for good when that war ended. 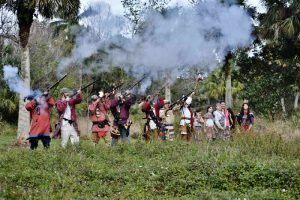 There are no remains of the fort today but the two battles are commemorated at the Loxahatchee River Battlefield Park in Jupiter, Florida.